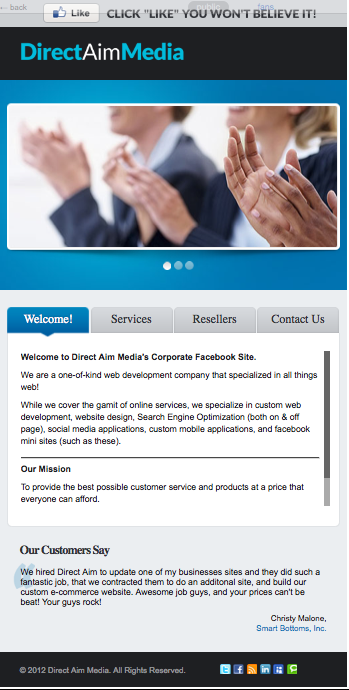 Our Facebook Page applications are like mini websites that are built specially for Facebook. Whether you are needing a custom application, a corporate presence, or a full scale ongoing marketing plan, Direct Aim Media has you covered. Our team of social marketers and programmers can built and market any type of application and integrate into your facebook page, so whether you are looking for a custom e-commerce application, custom contest/giveaway application, or have a cool idea we want to hear from you.